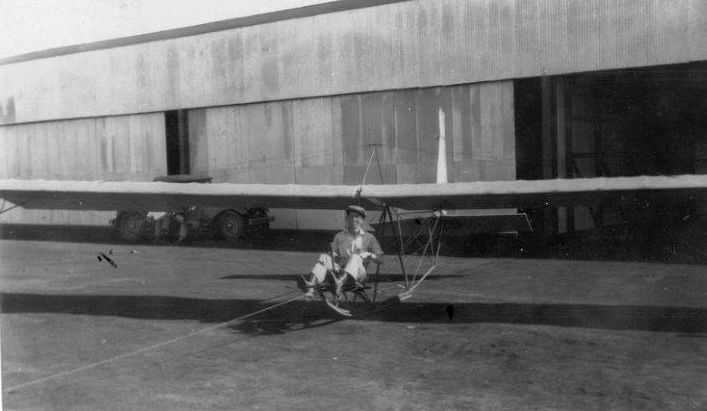 A 1929 photo of Les Oranges in a Eagle Rock glider at Oranges Airport (courtesy of Bob Oranges). The original airport for the town of Stockton was located on the north side of the town. Robert Oranges recalled, “My father was Les Oranges who along with his brother Ed Oranges built Oranges Airport. Originally the airport was named Oranges Airport, then some time later was changed to Orange Airport. My dad started flying in 1921.
of “Les Oranges in [an] Eagle Rock Glider in front of hangars at Oranges Airport” (courtesy of Bob Oranges). The Eagle Rock glider was launched via a tow from an automobile. Robert Oranges recalled, “My dad [Les Oranges] got his transport pilots license on 12/9/29. An undated (circa 1930s?) photo of a Curtiss JN-4 Jenny biplane painted “Oranges Bros. Garage Stockton” (courtesy of Bob Oranges). which depicted Oranges Brothers as a commercial/municipal airport. 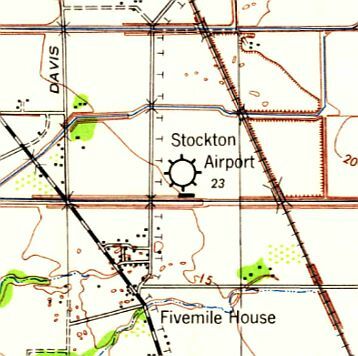 The 1939 USGS topo map labeled it as Stockton Airport. Maureen Liddicoat Roberts recalled, “My uncle Curtis Liddicoat managed Orange Airport at one time, probably shortly after WW2. 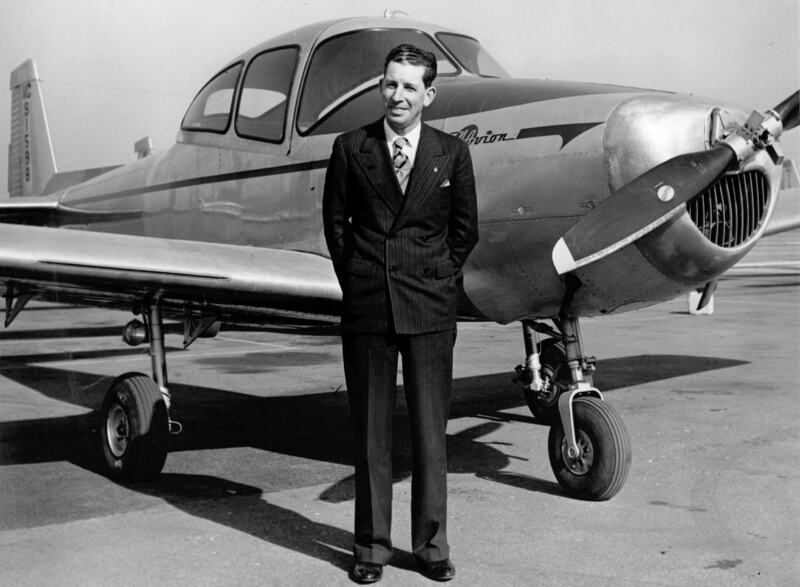 A 1947 photo of Les Oranges in front of his Navion at Oranges Airport (courtesy of Bob Oranges). which depicted Oranges as having a 2,000' paved runway. The earliest aerial photo which has been located of Stockton Airport / Oranges Airport was a 1949 aerial view (from the UCSB Library). It depicted the field as having 2 unpaved runways, with 10 light single-engine aircraft & several hangars on the southwest side. 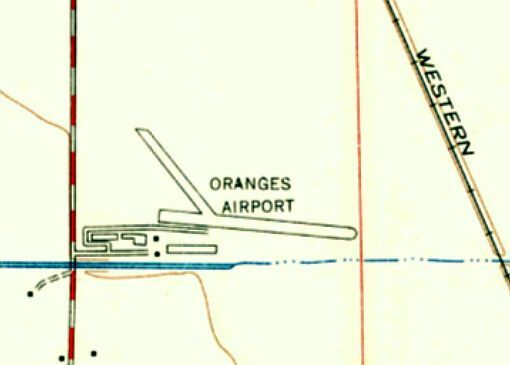 The airport was evidently reopened under the name of “Oranges Airport” at some point between 1945-53, as that is how it was labeled on the 1953 USGS topo map. 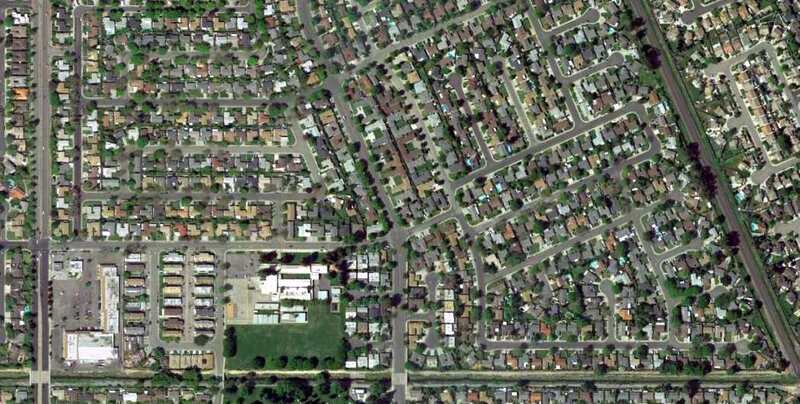 It depicted Oranges as having 2 runways & several small buildings on the southwest side. 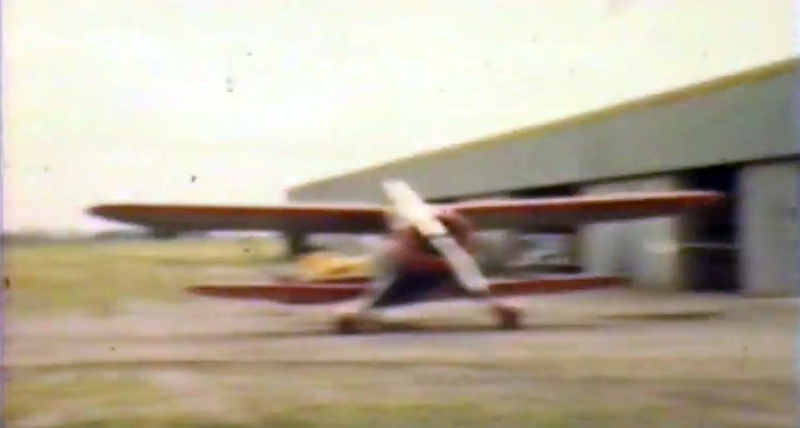 A still of a biplane in front of an Oranges Airport hangar from a circa 1950s movie (courtesy of Bob Oranges). A 9/4/57 aerial view (from the UCSB Library) depicted Oranges Airport as havng a single east/west runway, with no sign still visible of the previous crosswind runway. A dozen light single-engine aircraft & several hangars were visible on the southwest side. and ran up against & located east of Lower Sacramento Road. The single runway ran east/west. Among the many aircraft based there, my uncle over the years based a Bonanza, Twin Bonanza, and Sea Bee, along with a couple of Brantley helicopters. 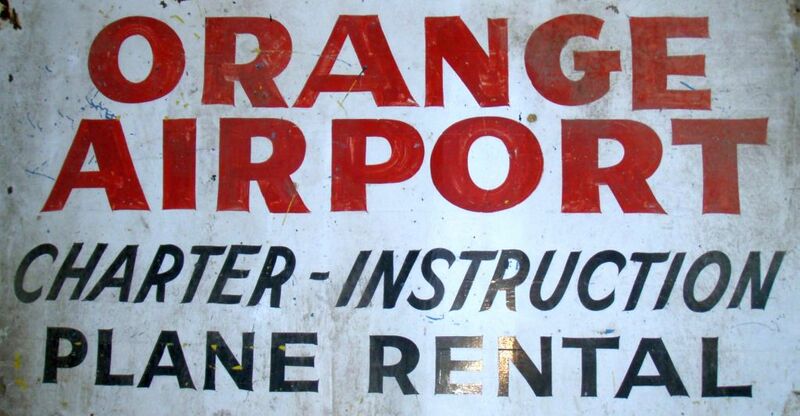 An undated sign for “Orange Airport” advertised plane rental, but also appeared to show the property as completely flooded. According to Robert Oranges, the photo dated to circa 1961. 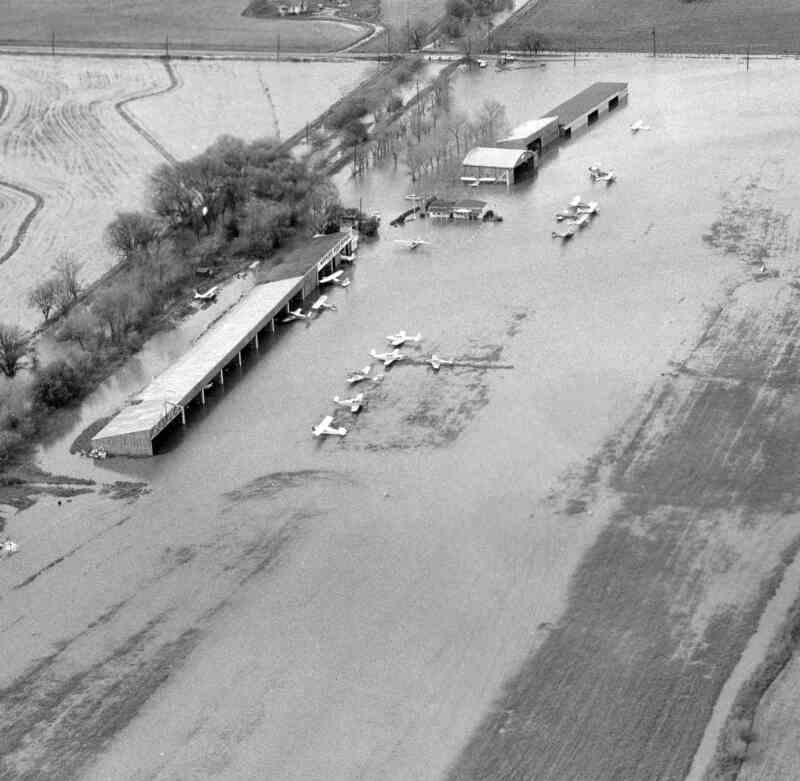 A circa 1961 aerial view looking southeast at the flooded Oranges Airport (courtesy of Bob Oranges). showing over 20 light aircraft which were affected. 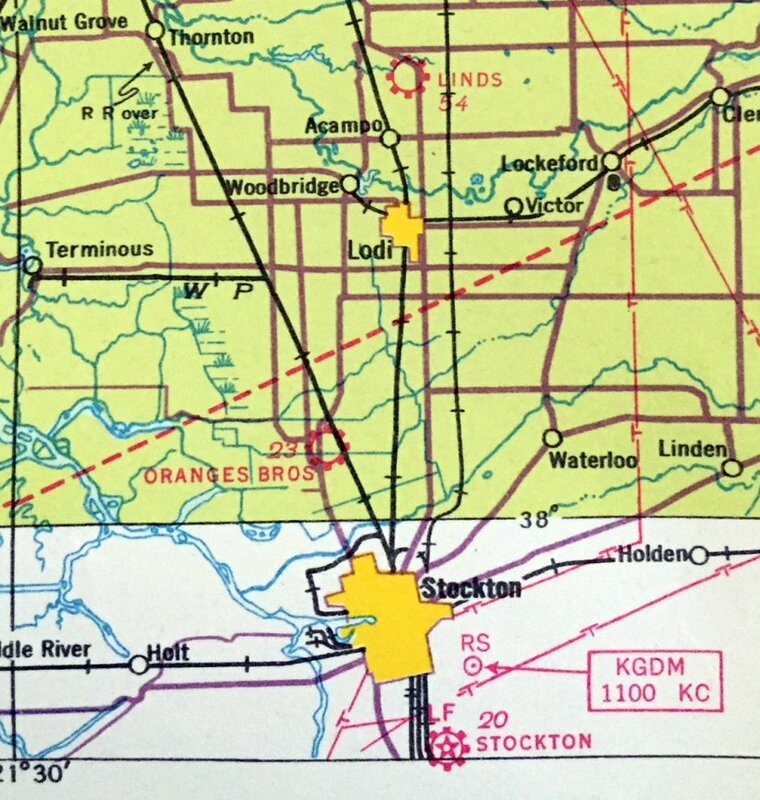 Orange Airport was evidently closed at some point between 1961-65, as it was no longer depicted on the June 1965 Sacramento Sectional Chart. which depicted it in the same fashion as the 1953 USGS topo map. 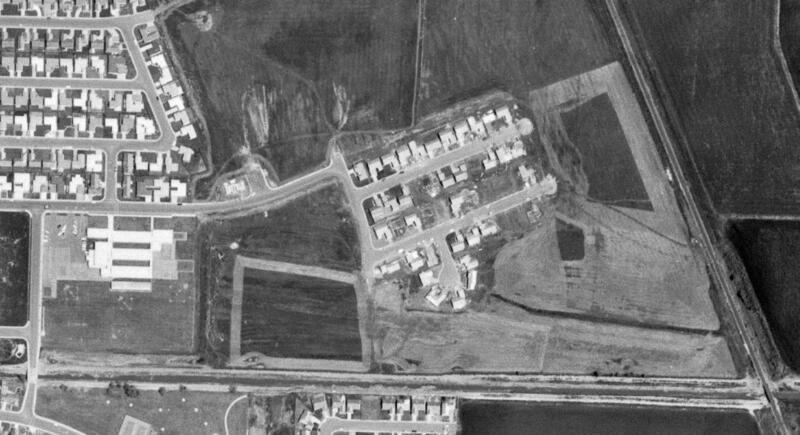 A 5/2/67 USGS aerial view showed that houses had been built over most of the Orange Airport property, but portions of the northwest/southeast runway remained recognizable. 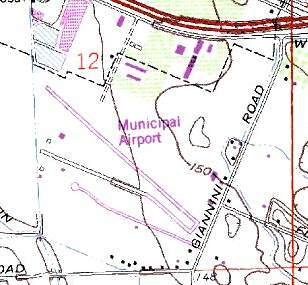 The 1972 USGS topo map showed that the John F. Kennedy School & housing had covered the site of Orange Airport. 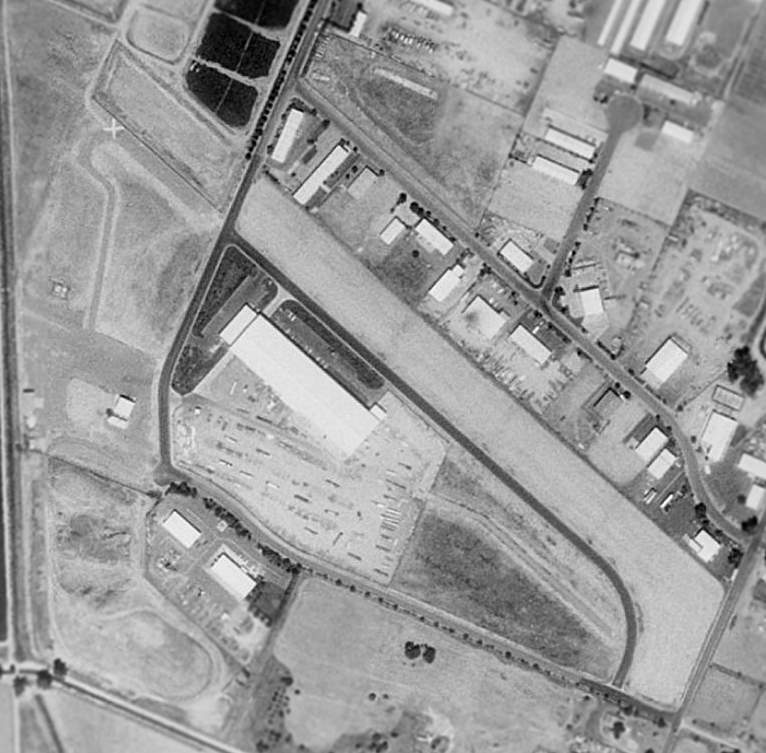 A 1993 USGS aerial photo showed no trace remaining of Orange Airport. 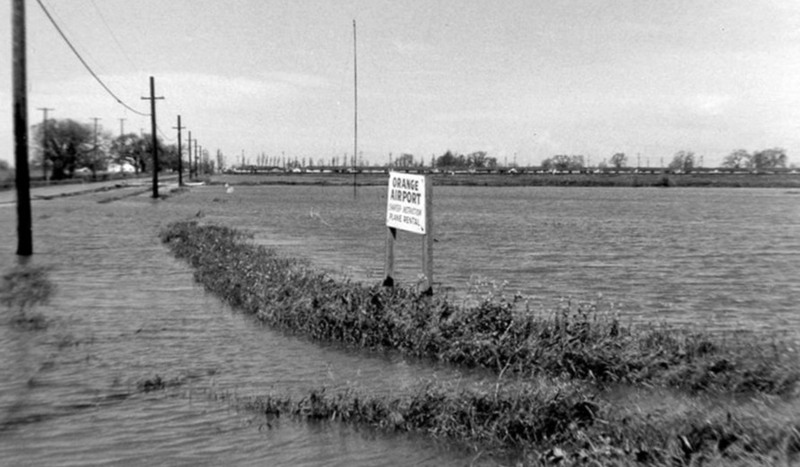 which appears to be the same sign pictured in the 1961 flood picture above. 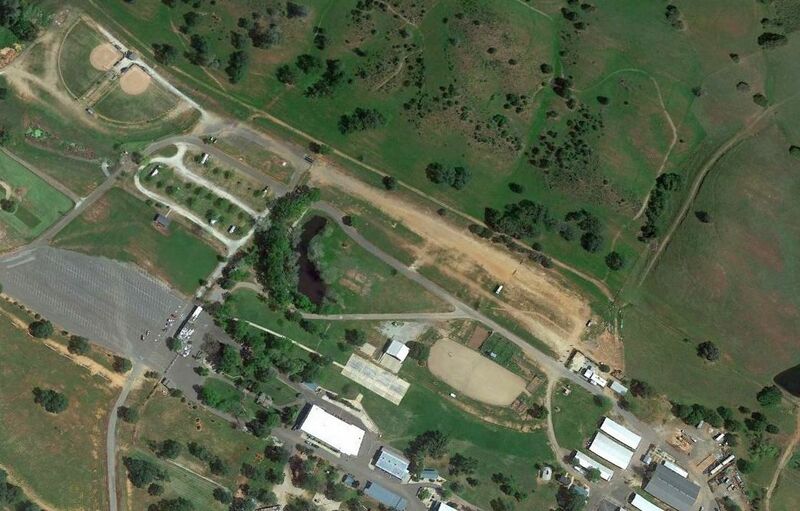 A 4/11/13 aerial photo showed no trace remaining of Orange Airport. The site of Orange Airport is located east of the intersection of North Lower Sacramento Road & Ponce de Leon Avenue. Thanks to Brian Cleveland for pointing out this airfield. 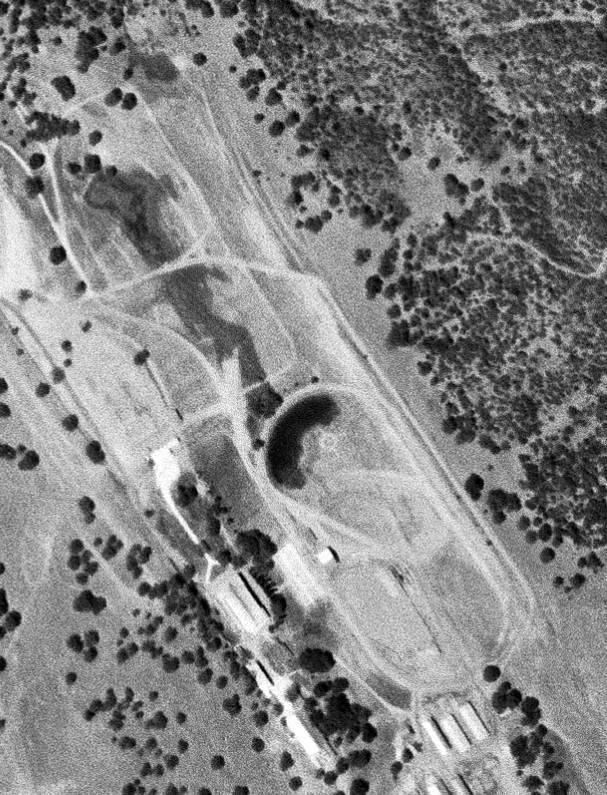 A 6/6/59 USGS aerial view of Frog Town Airport. This small airport was located on the grounds of the Frog Town Fairgrounds. as it was not depicted on the 1957 Sacramento Sectional Chart (according to Chris Kennedy). 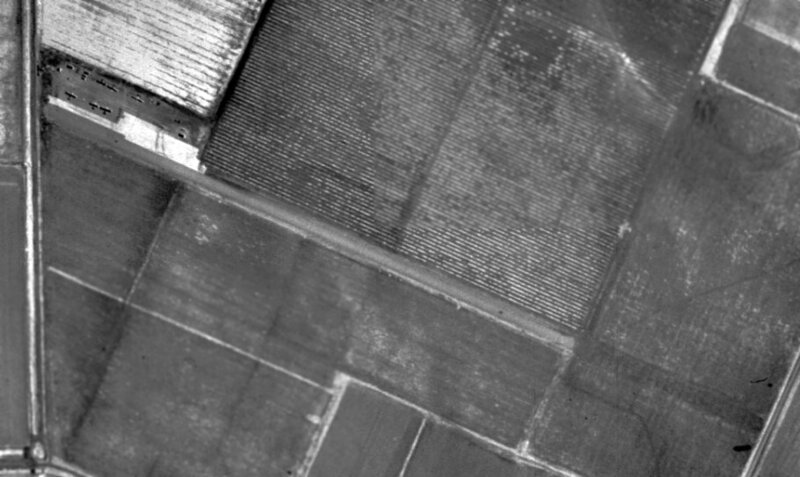 The earliest depiction which has been located of Frog Town Airport was a 6/6/59 USGS aerial view. there was an airport circle marking in the center of the photo, just west of the runway. which depicted Frog Town as having a 2,400' unpaved runway. 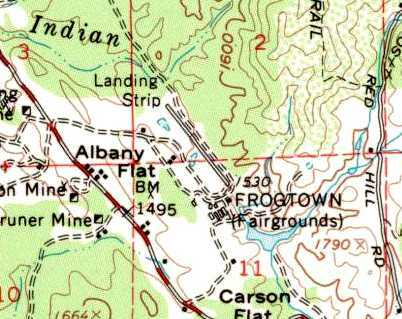 The 1962 USGS topo map depicted Frog Town Airport as a single northwest/southeast runway, labeled simply as “Landing Strip”. 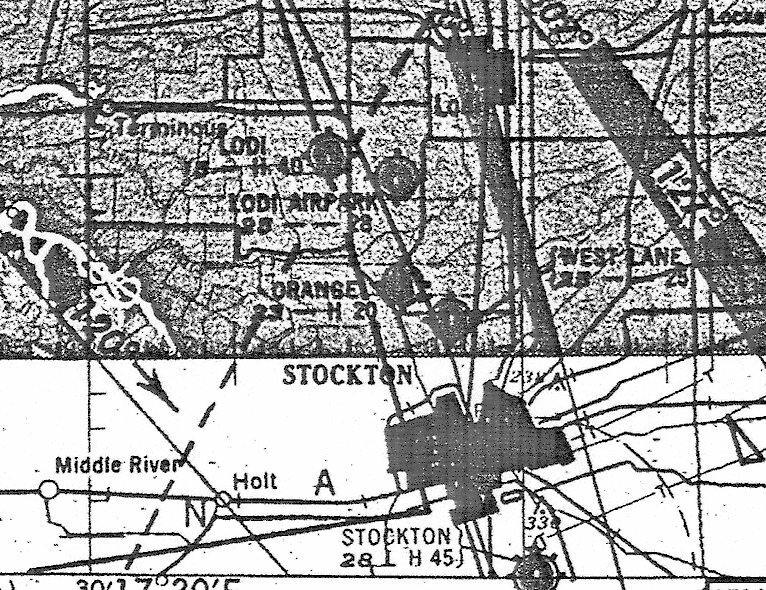 The 1965 San Francisco Sectional chart (courtesy of Chris Kennedy) depicted Frog Town as having a 2,100' unpaved runway. as the 1966 San Francisco Sectional chart (courtesy of John Voss) depicted the field as having a 2,100' paved runway. Frog Town Airport was listed in the "unattended airport" section of the 1978 Pilot's Guide to California Airports (according to Chris Kennedy). Frog Town Airport apparently closed at some point between 1978-82.
as it was not listed among active airfields in the 1982 AOPA Airport Directory. 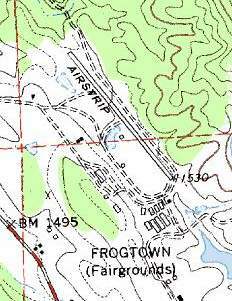 The 1991 USGS topo map depicted Frog Town Airport as a single northwest/southeast runway, labeled simply as “Airstrip”. 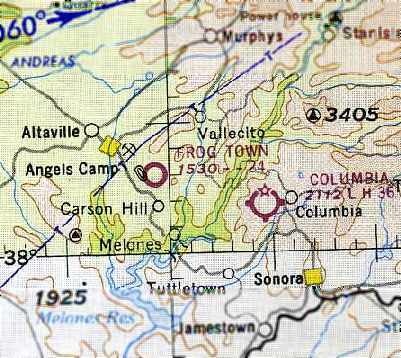 On the 1993 USGS topo map, the Frog Town runway was still depicted, but labeled simply "Landing Strip". but the pavement had apparently been removed. with 2 baseball diamonds having been built over the northwest portion of the runway. The site of Frog Town Airport is located east of the intersection of Route 49 & Gun Club Road. 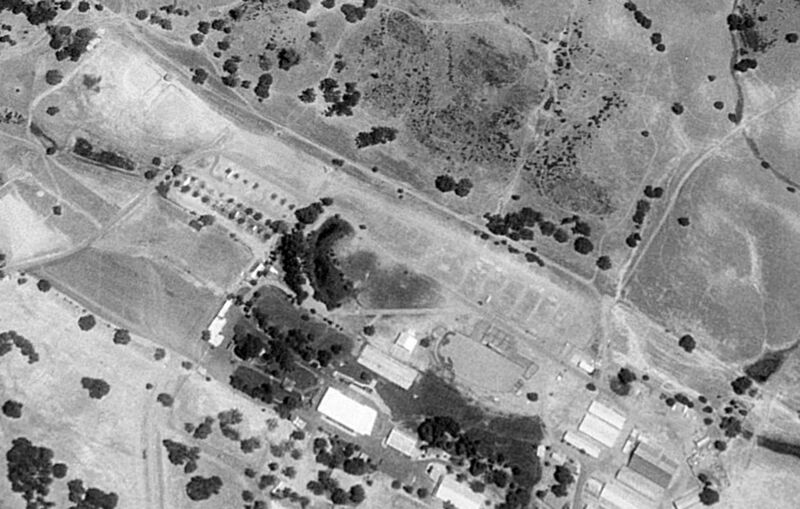 A 5/31/57 USGS aerial view of Atwater Airport (from the UCSB Library). 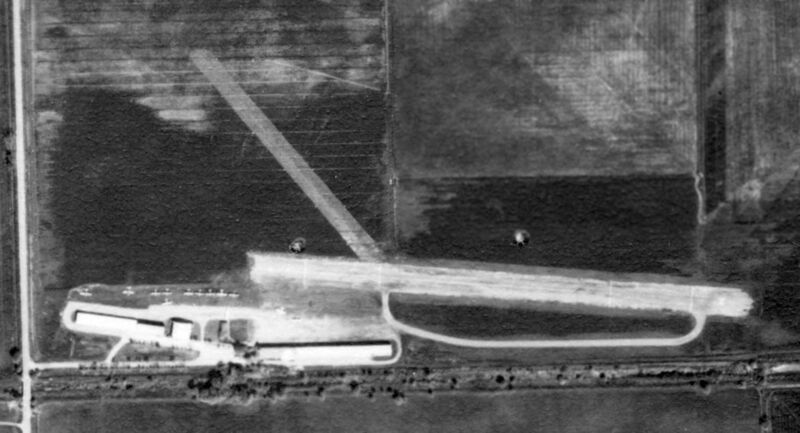 The earliest depiction which has been located of Atwater Airport was a 5/31/57 USGS aerial photo (from the UCSB Library). 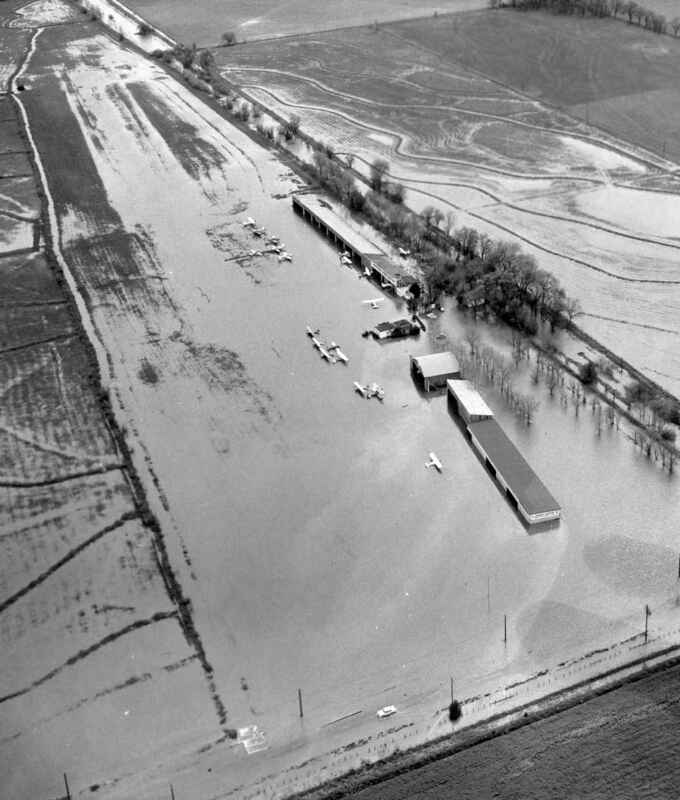 It depicted Atwater Airport as having a single northwest/southeast runway. Six light single-engine aircraft were visible parked on the west side of the runway. 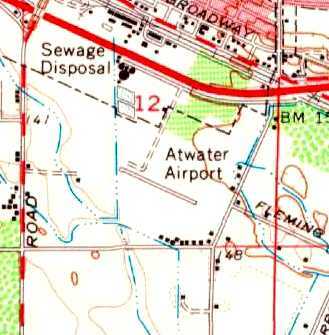 The 1961 USGS topo map depicted the Atwater Airport as having a single northwest/southeast runway. as that is how it was labeled on the June 1964 San Francisco Sectional Chart (courtesy of Chris Kennedy). It depicted Buller as having a 2,200' unpaved runway. described Buller Field as having a single 2,170' treated dirt runway. as that is how it was depicted on the June 1967 San Francisco Sectional Chart (courtesy of Chris Kennedy). The listed runway length had also been shortened to only 1,800'. as it was listed as Atwater Municipal Airport in the 1982 AOPA Airport Directory (courtesy of Ed Drury). The field had also gained a paved runway, as it was described as having a single 2,450' asphalt Runway 12/30. The operator was listed as Merced Aviation - Atwater Branch. 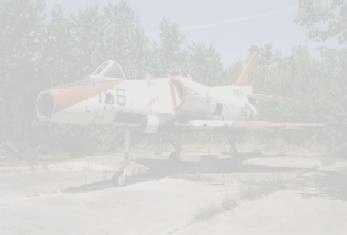 Don Jordan recalled , “Atwater Airport...I flew out of there from 1981 until the end in 1991. I had 2 airplanes hangared there in the 1980s. I had a Piper Colt & a Cessna 210 there. Traffic was left hand for 30, and right hand for 12. I think the runway was about 3,600', with trees just across the road on the southeastern end. The airport FBO operator's name was Stan Swenson. After he sold the business, a lady bought the business & continued its operation. My Piper Colt broke a bungee chord on landing there once, and scared the Hell out of me. My 210 also had its nose gear collapse on the same airport. Stan, an A&P mechanic, fix both aircraft right in his new hangar. the airfield consisted of paved paved northwest/southeast 2,800' runway, with a taxiway leading to a few small buildings on the west side. described Atwater Municipal Airport as having a single 2,670' asphalt Runway 12/30. showing the runway, taxiway, ramp, hangar, and several light planes. 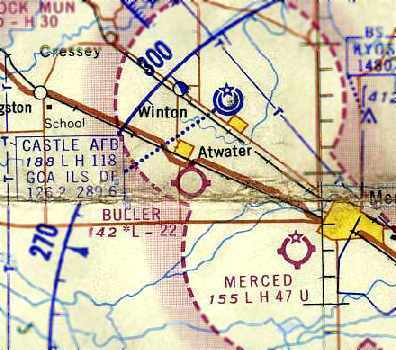 when the much larger former Castle AFB was closed & became the new Atwater Airport. 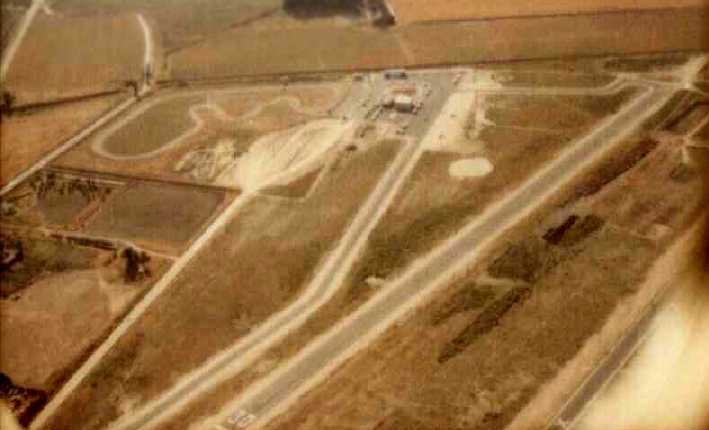 with construction proceeding in 1995.
with a closed runway "X" marking still visible on the pavement. The southeast portion of the taxiway also still remained. 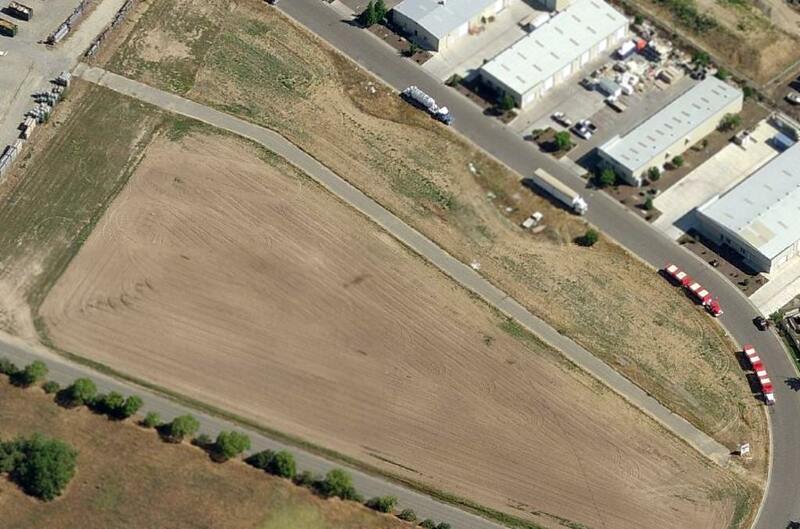 A circa 2008-2013 aerial view looking north showed the remaining southeast portion of the Atwater Airport taxiway. 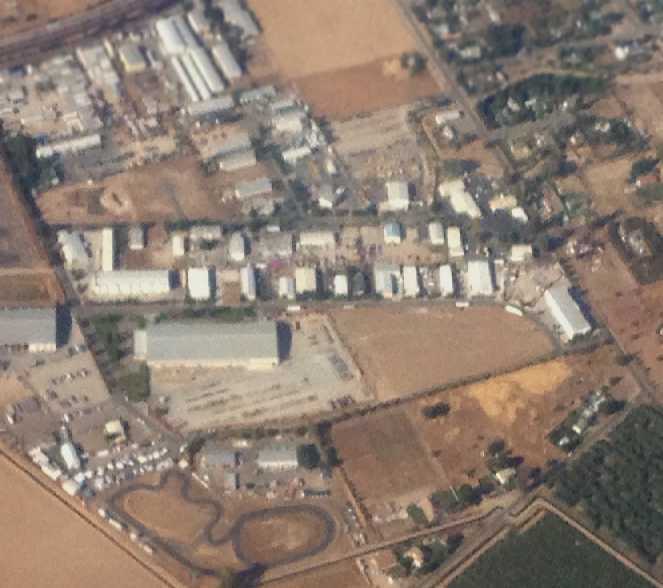 A circa 2008-2013 aerial view looking south showed the former Atwater Airport hangar which remains standing. A 5/22/13 aerial view by Joseph O'Keefe (courtesy of Dallam Oliver-Lee) looking east at the site of Atwater Airport. A 4/1/17 photo by Jonathan Westerling of the former Atwater Airport hangar which remains standing. A 4/1/17 photo by Jonathan Westerling of a portion of former Atwater Airport taxiway. 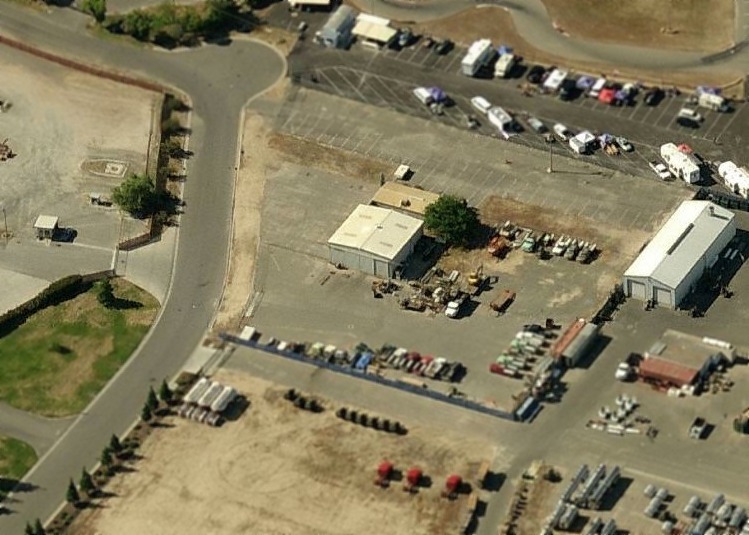 The Atwater Airport site is located west of the intersection of Airpark Road & Giannini Road.